So, I'm going to be facing 2k of Death Guard at my LGS this Sunday. I have only faced them once before with my Sisters of Battle, and got murdered by Mortarion, Blight Drones and Poxwalkers. I have yet to face them with my Drukhari. I have no idea what my opponent will be bringing, save that it will be an "experimental" list. 1. What's generally better vs Death Guard, disintegrators or lances? I;m thinking in particular for dealing with Bloat Drones...god how I hate those things. 2. 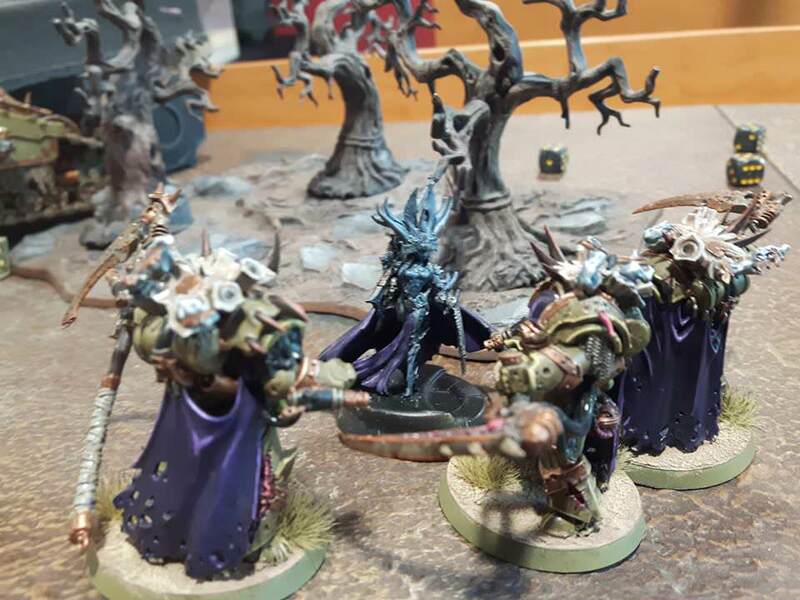 How should I deal with Poxwalker hordes? Will Wyches work against them? Or is the best tactic vs Poxwalkers simply to avoid them? 3. Should I go with Red Grief on the Wyches instead, given that I included Jetbikes? 3. Be brutally honest: how terrible is this list vs Death Guard? What does it need? Aside from a Black Heart Ravager detachment, as I am in dire need of a third Ravager if I want to be uber competitive. I played Death Guard just the other day actually, and it was a REALLY close game. 1. Lances. Use that Dark light to take our his Drones and Crawlers, and then turn them on the big stuff. 2. If its the majority of the army, focus fire with many Venoms. Pile all the shots on them that you can. 3. To be honest, I personally wouldn't use anything pother than full-gun-wielding Kabalites. 4. Against Death Guard, the Wracks will be useless and the Wyches will not be that useful. DG are tough and strong, and getting near them kills you. More Warriors. More Venoms. GUNS. The patrol seems utterly useless here. Wracks are not great, and you’re not using the Coven to bring any solid Coven units. You’d be better off with just a Farseer auxiliary or something. 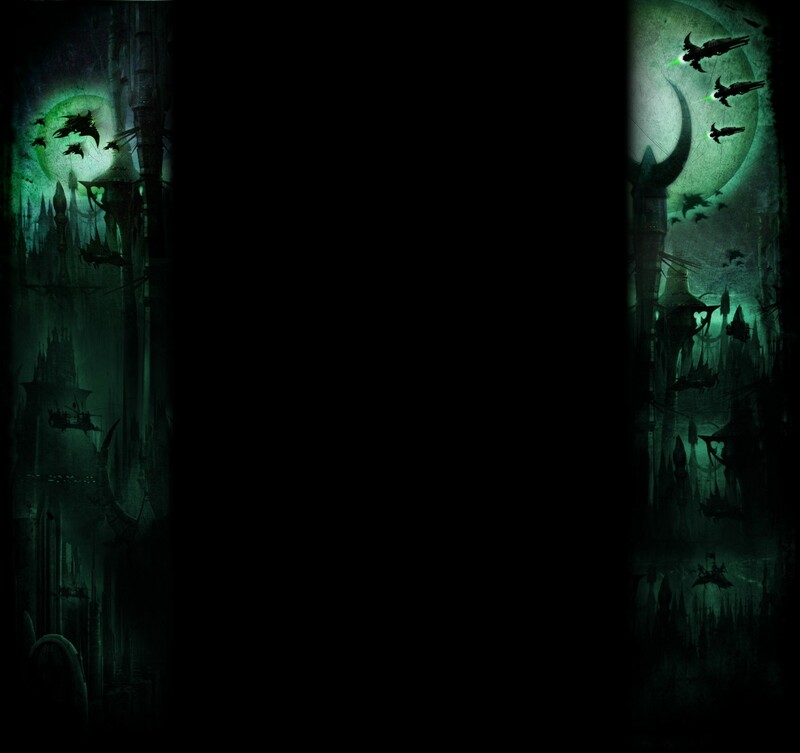 Or find the points for another flyer and run a Black Heart flyer wing for Agents of Vect stratagem. Deep-striking the Wych blob is an AWFUL idea. Wyches don’t really benefit from being 20-strong, because you don’t get any extra weapons after being more than 10-strong. Deep striking you also lock yourself out of Screaming Jets, our best anti-alpha stratagem, and landing 9” away means you still have a 50% chance to fail your charge with a re-roll, and you just get obliterated with rapid fire. Your list would be better off if you just walked that unit, so that should indicate how terrible of a basic plan that is if walking 6+ save T3 models across the board is a better plan. I mainly took the patrol so that I can get the extra CPs from Diabolic Soothsayer. Beyond that, I don't expect the Wracks to amount to much. The Wych blob was an experiment, partly because I was curious as to how well a Wych horde would work at clearing away blobs of Poxwalkers, etc, and partly because I just wanted to see how well Cursed Blade could do with a giant Wych unit. I agree that it is a high risk, high reward unit, but that being said, if you think I would be better served by another Raider-borne Wych unit, then I can do that. Also: are Reavers worth it vs Death Guard? I know that they tend not to do well in protracted fights, so I'm wondering how well they will fare against an enemy that is either hordes of unbreakable gribblies, or really tough monsters/vehicles. 1. What's generally better vs Death Guard, disintegrators or lances? 2. Should I go with Red Grief on the Wyches instead, given that I included Jetbikes? -Thereafter, his return fire was mostly ineffectual, but he did manage to charge and kill my Razorwing with his Prince. In response, most of my stuff circled his Prince and rapid fired/zapped him down to one wound, before my lesser Archon charged and finished him off. This was actually a big mistake on my part: in having so much of my stuff circle around the Prince, I pretty much bunched everything up instead of using my natural mobility to spread out. This left me open, in the next turn, for Mortarion to swoop in, hit me with his AOE effect before multi-charging a lot of my units. From there things pretty much went downhill. -I have no idea what the final score was, but he was ahead. I had killed 1 unit of Nurglings, 1 Plagueburst Crawler, his Herald, his Daemon Prince, and had taken Mortarion down to half wounds. In exchange, I had lost all my characters bar my lesser Archon and primary Succubus, 1 unit of Wyches, and all of my vehicles bar 1 Venom, 1 Raider and 1 Ravager. -I brought my list expecting to deal with Poxwalker hordes (hence the Wych blob). In retrospect, I shoulder really have brought more Kabalites/firepower. -I was surprised at how aggressive he was in moving forward with his Plagueburst Crawlers. I was expecting him to go for lascannon equivalents, not plaguespitters. Again, I really should have used my mobility to keep my distance. -Nurglings are freaking tough! My Wyches just couldn't kill the buggers off when it mattered. -The Wych horde came down on turn 2....and failed their charge on the Nurglings guarding an objective, as did the Mandrakes. When they did make it into a unit of Nurglings on turn 3, they had taken some losses, and only killed 2 bases and nearly killed a 3rd. Not nearly good enough. I think the whole deepstriking Wych blob experiment has failed. -As mentioned above, I was an unpracticed, casual player against a guy practicing for ITC. The outcome felt like it was inevitable based ont that factor alone. -I had my Reavers and Raider with Wyches, warlord Archon, Sslyth and sacrificial Succubus too far on the left flank, hoping for a first turn blitz. Instead I lost the roll off, lost all but 2 of the Reavers turn 1, lost the Raider (and the Wyches shortly thereafter), and spent almost the whole game trying to keep my Archon and Succubus out of harm's way. It was pathetic. -I initially forgot about the Flayed Skull ability to reroll 1s with my splinter rifles/cannons. This was pivotal, as I kept having my vehicles hug my Archon's reroll bubble instead. -Up until now, i had always thought that overwatch worked like 7th ed, where you can have a unit charge in, eat up overwatch, and free another unit to charge in without penalty. Instead, as I learned, an enemy unit can overwatch as many times as it likes as long as it's not locked in combat. This became apparent when I charged the last two Reavers into one of his Plagueburst Crawlers, hoping to eat overwatch so some nearby Wyches could lock it in combat and deny its shooting for a bit. Nope, the Reavers died, and the Wyches soon followed suit. -Does the Helm of Spite have to be outside of a vehicle to work, or can it function from inside a transport? -When rerolling charges, do you have to reroll all dice or can it just be one of them? 1) The Helm of Spite must be on the table to be in range of a power. Units in transports are considered off the table and can't interact with the rest of the battlefield unless they have a specific rule allowing them to do so (such as firing from an open topped vehicle). 2) Rerolling charges means both dice. You can command point reroll if you want a single die rerolled.